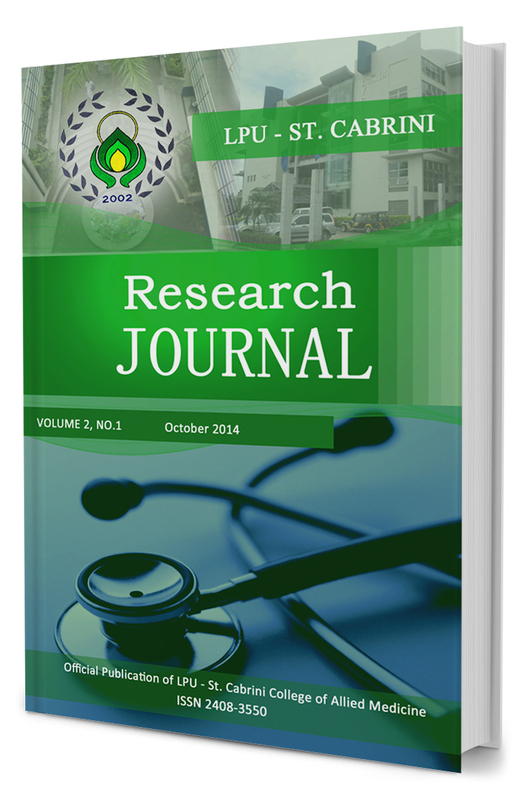 LPU Laguna Journal of Allied Medicine is an open access interdisciplinary journal that publishes original researches in all fields of experimental and applied researches of health sciences. It is an annual publication of LPU-St. Cabrini College of Allied Medicine. Antido, Jhon Wilson A., Gatil, Ysa Lorren B. and Rabajante, Noel Armaknop L.
Escala, Exequiel Mario P., Manosa, Gabriel Antonio C., Sayseng, John Oliver H.